Improve your home with high-quality double glazing from Cumberland Windows. Based in Egremont and established in 1989, we are proud to have carried out over 10,000 installations throughout West Cumbria. Over the past 28 years, we’ve gained a trusted reputation for providing high quality installations combined with a professional and friendly service. Furthermore, all of our many satisfied customers have benefited from our ‘Zero Sales Commission Policy’, resulting in realistic and honest prices across our huge range of Windows, Doors and Conservatories. Further to this, all of our installations are now available with a superb range of Flexible Finance Options, see our website for further details. Cumberland Windows are proud to be the only Double Glazing company in Cumbria endorsed by the Which Trusted Trader scheme. An excellent company in every way. Helpful advice without pressure, highly experienced fitters and a thoroughly professional approach throughout. I would recommend them without reservation. 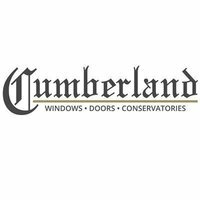 I would highly recommend Cumberland Windows to anyone. From the beginning to the end, there was absolutely no pressure. The workmanship was second to none. A top class product by a first class team. I had a new front door fitted by this company a month ago and am very happy with the job. It was done quickly and competently with no issues at all. I would be happy to recommend the business to others. Had new windows and a front door installed by Cumberland Window Design Ltd and can't fault the job at all. I have already recommended them to others, as I was so impressed with the work.